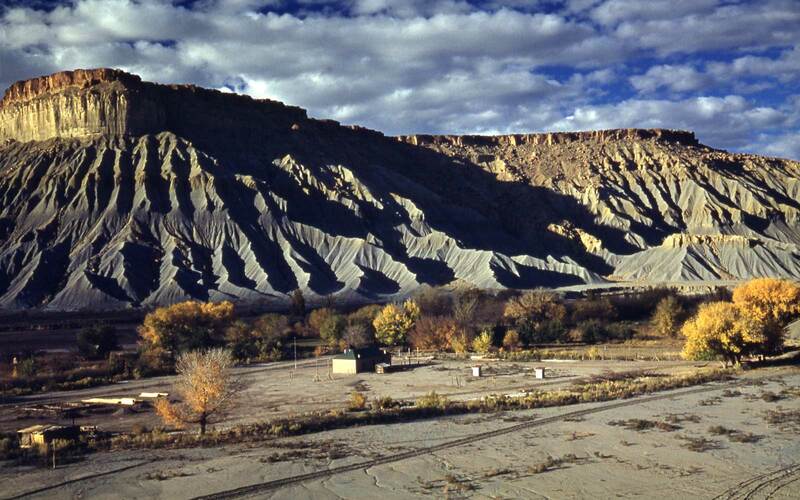 It looks like the Book Cliffs which run north of I-70 from around Green River Utah to Grand Junction Colorado. I can’t quite place this more specifically than that though! After identifying the Factory Butte photo near Capitol Reef I’m now wondering if this is near there instead.